A repackaged edition of the revered author's collection of essays on writing fiction. 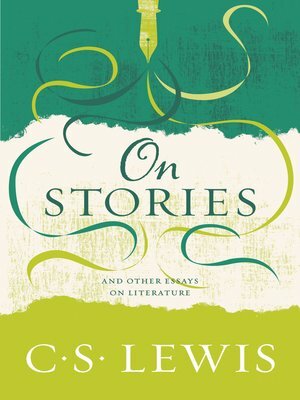 C. S. Lewis—the great British writer, scholar, lay theologian, broadcaster, Christian apologist, and bestselling author of Mere Christianity, The Screwtape Letters, The Great Divorce, The Chronicles of Narnia, and many other beloved classics—was a professor of literature at Oxford University, where he was known for his insightful and often witty presentations on the nature of stories. This collection assembles nine essays that encapsulate his ideas about fiction, including "On Stories," "The Death of Words," and "On Three Ways of Writing for Children," as well as eleven pieces that were unpublished during his lifetime.